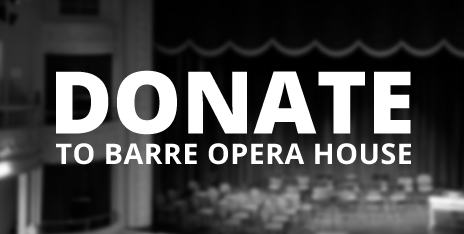 If you're a regular visitor to the Barre Opera House you might already know that the current theater is actually the "new" opera house. 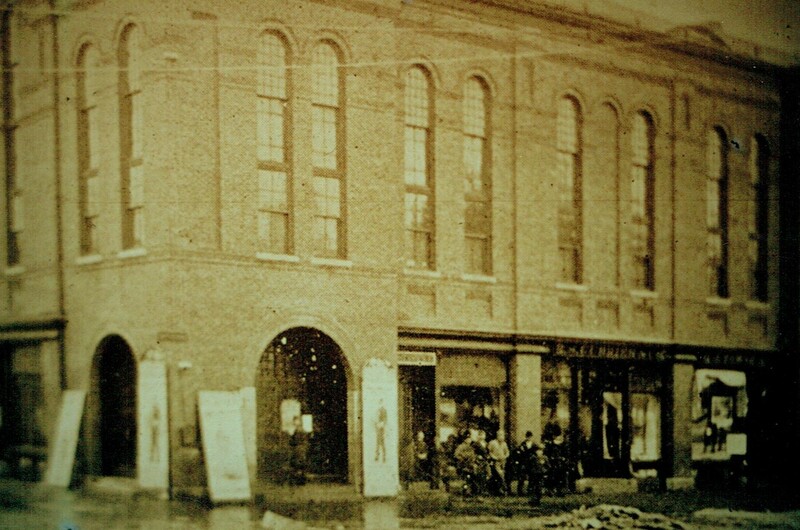 Built in 1886 the original structure was part of a fire that affected the post office, the dry goods store, and City Hall among other Barre stores. Nothing remains of the original building. But not all is lost. News articles and photos give us a glimpse at what the original structure was like in a small town that looks very different from the town we live in now. Here's one one of our favorite photos of local firemen at work while onlookers observe the destroyed building on a cold January night. We learn even more through the Library of Congress and the Barre Historical Society. 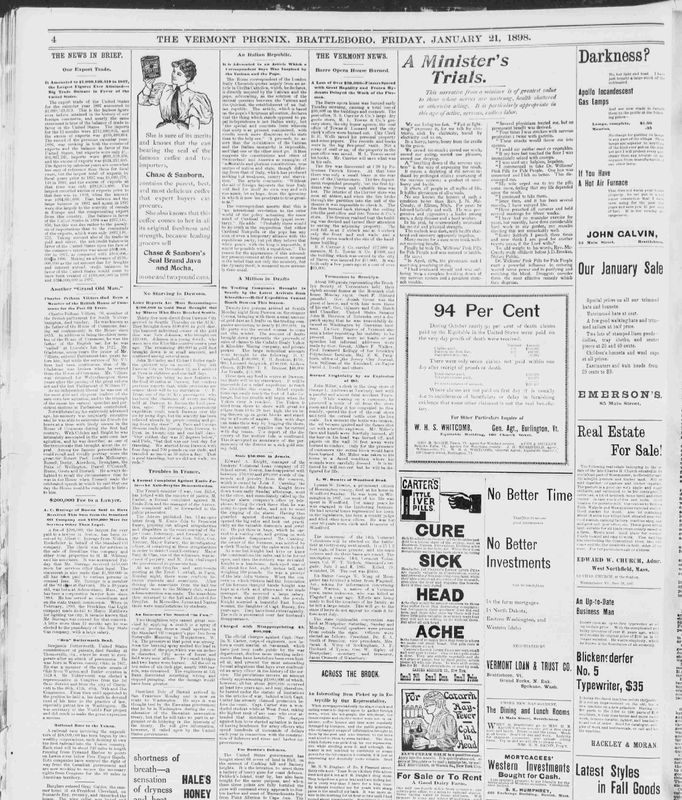 Today we found an 1899 Vermont Phoenix article outlining the damage from the fire. We hope you enjoy the read! "THE VERMONT NEWS Barre House Burned A Loss of Over $50,000 -- Flames Spread with Great Rapidity and Frozen Hydrants Delayed the Work of the Fire-men. The Barre opera house was burned early Tuesday morning, causing a total loss of $50,000 on the buildings and contents. The post-office, R.S. Currier & Co.’s large dry goods store, M. L. Towne & Co.’s grocery store, the city liquor agency, the coal office of Towne & Leonard and the city clerk’s office were burned out. City Clerk B. H. Wells saved his personal property and some papers. The records and books were in the big fire-proof vault. Not a scrap of mail or any of the property in the post-office was saved. M.L. Towne saved his books. Mr. Currier will save what was in his safe. The fire was discovered at 1.20 by Policeman Patrick Brown. At that time there was only a small blaze in the rear part of the Currier store. The fire department responded promptly, but the first hydrant was frozen and valuable time was lost. 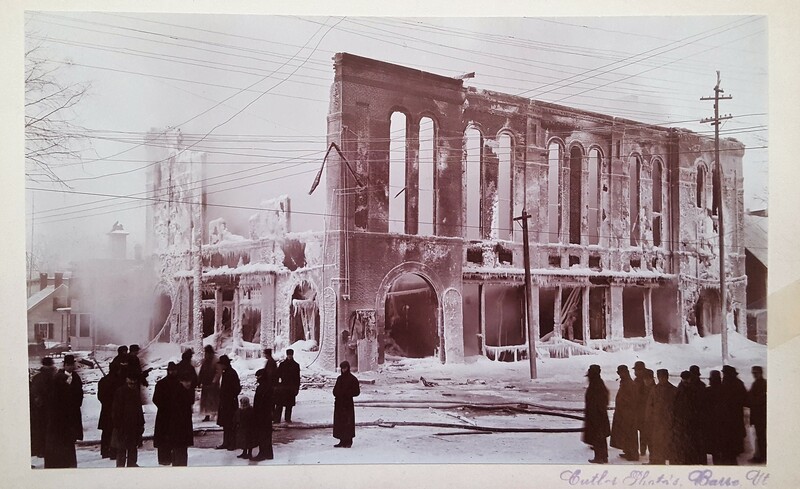 The interior of the Currier store was soon all ablaze, and when the fire broke through the partition into the hall of the theatre it was impossible to check it. The fire then burned back through the ceiling into the post-office and into Towne & Co.’s store. The firemen realized that the building was doomed and turned their attention to saving the adjoining property. The roof fell in at 2 o’clock and at 4 o’clock only the front and end walls and a heap of ruins marked the site of the handsome building. R.S. Currier & Co. carried $17,000 insurance, M.L. Towne & Co. $5000, and the building, which was owned by the city of Barre, was insured for $11,000. It was built only a few years ago at a cost of over $30,000."